If and when John Tavares re-signs with the New York Islanders this off-season, there will be a lot of teams left in need of a center with few options to turn to. The trade route is an option, although a costly one when searching for a top-six pivot. Not many teams are openly shopping their top centers either. The draft is no help in a class largely devoid of pro-ready talent down the middle. The restricted free agent offer sheet has all but gone extinct. For those teams in need of center help, this leaves the free agent market as the most realistic choice and, behind Tavares, pickings are slim. Tyler Bozak, Riley Nash, and Derek Ryan are all top-five scorers among free agent centers despite all being two-way focused forwards best suited for third-line roles. Joe Thornton, Valtteri Filppula, and Tomas Plekanec are all well past their primes and their recent production proves it. There are simply very few good options. For these reasons, it is no surprise that teams are already lining up for the services of Paul Stastny. Easily the top UFA center behind Tavares, Stastny is coming off a 53-point season with St. Louis and Winnipeg. Add in a dominant 15-point postseason with the Jets, and Stastny has greatly improved his stock heading into the open market. Both an offensive threat and a defensively responsible player, Stastny is a complete, two-way player. He is also a twelve-year veteran who dismissed talks of being past his prime this season and seems capable of high-end play over the course of another long-term contract. In fact, the 2017-18 season was Stastny’s best offensively since his early days with the Colorado Avalanche. Ironically, the Avs reportedly would like to see if he still has that 70-point potential he showed as a younger player in Denver. Both Fox Sports’ Andy Strickland and BSN Denver’s Adrian Dater believe that Colorado is the leader in the chase for Stastny. As a team with which he has chemistry, as well as a young, exciting roster in need of a leader, it would be easy to see why a return to the Avalanche could be appealing to Stastny. Strickland also names the Winnipeg Jets as a top suitor. After acquiring Stastny at the deadline and seeing him fit in so well down the stretch and in the playoffs, it is no wonder that they would like to retain him. However, the Jets are inundated with valuable restricted free agents in need of extensions and may run out of the cap flexibility needed to compete for one of the market’s biggest names. Dater hears that the Montreal Canadiens, one of the more desperate center-needy teams in the league, is also in the hunt for Stastny. The Canadiens would be able to keep up with any bid the Avalanche could make and it would likely come down to which team Stastny feels is the best fit. While these three teams are surely not the exclusive list of contenders, they are three teams that are logical fits for Stastny. Two teams that whose absences are noteworthy though are the St. Louis Blues and Carolina Hurricanes. Yes, the Blues traded away Stastny and when they had him it wasn’t enough to be a true Stanley Cup contender. However, a healthy St. Louis team would have been much more competitive this season and one of the holes they now need to fill to return to that place is at center. Bringing back Stastny is an idea that no one would dismiss, yet Strickland – a Blues beat writer – makes no mention of them. The Hurricanes, like the Canadiens, are simply a team in drastic need of a top center. While Stastny may not put them over the top, he would be yet another piece to a roster that has the potential to turn things around next year. Carolina also has near limitless cap space to contend for the rising price of Stastny’s services. At the end of the day, Strickland states that Stastny just wants to go somewhere where he will have a “chance to win”. Winnipeg and Colorado fit the bill, while Montreal, St. Louis, and Carolina may not. Others are sure to enter the fray too in a free agency market that may end up being defined by the choice made by Paul Stastny. The first fireworks of the upcoming NHL Draft may show up at pick #4. When the Ottawa Senators acquired Matt Duchene from the Colorado Avalanche, part of the substantial package was a top-ten protected 2018 first-round pick. The terms of the deal afforded the Senators a choice between trading this year’s pick or next year’s pick to Colorado if the pick landed within the top ten spots. Finishing the season with the second-worst record in the league, Ottawa was obviously locked in to the top ten. Even after bad luck dropped them to fourth overall in the NHL Draft Lottery, GM Pierre Dorion confirmed that they would hold on to the pick this year and defer to the 2019 first-rounder. However, that was back in April and things change. It seems more likely than ever that Erik Karlsson and/or Mike Hoffman will be traded away from Ottawa this off-season and that doesn’t bode well for a Duchene extension either. There also continue to be frustrations over the management of owner Eugene Melnyk and the fiscal future of the organization. Ottawa seems far from a free agent destination right now and no closer to turning around one of the worst records in the NHL. The initial Stanley Cup odds for next season reflect this, as the Senators at 100/1 odds are alone in last place. It’s understandable for public relations purposes that the Sens keep this year’s #4, both to add an exciting new prospect and to all but confirm to fans that the outlook for next season is better this season. It may not be the smart move though. There is a trio of top prospects in the draft this year: defenseman Rasmus Dahlin and forwards Andrei Svechnikov and Filip Zadina. After that, there is no consensus on the next-best player. In fact, the fourth overall pick more or less marks the beginning of a lesser tier of prospects; not exactly a power position in 2018. Next year, the Senators are almost certainly going to miss the playoffs and will be a lottery team with a chance to land in the top three with a lucky draw. According to odds makers, they are also the favorite to finish 31st, which would give them the best odds at the first overall pick – highly-touted franchise center Jack Hughes – and would mean that they could fall no farther than fourth again. There is risk in giving up a pick as high as #4 this year, but there is also substantial risk in not giving it away, blowing up the roster, and simply hoping for a better finish next year. The pain that the organization and the fans would feel about losing #1 after another brutal season would be far worse than giving up a non-consensus top player at #4 this year. The mounting pressure of that very real possibility could force the Senators to give in and surrender the 2018 pick. The Avalanche know this and are remaining vigilant. The Denver Post’s Mike Chambers caught up with Colorado Director of Scouting Alan Hepple, who says the team knows what direction they would go in if they wind up with #4 this year after all. Per Chambers, the Senators can wait all the way until they are on the clock to make the pick to instead complete the trade this year. Hepple doesn’t think that will be the case, but the Avs are prepared in case it is. They certainly wouldn’t mind the spot, as the team nabbed defensive phenom Cale Makar in that same draft slot last year and would be happy to make a repeat performance. With their own pick at #16, Hepple says that the team will simply take the best player available, regardless of position, but at #4 they have identified a more pressing organizational need, as they did with the UMass puck-mover Makar last year. If the first three picks go as expected and Ottawa isn’t thrilled by the next-best name on their draft board, they could crumble under the pressure of the potential repercussions: losing a higher pick next year. It could pay off or it could be a mistake in hindsight; there is no way to tell with a lot riding on the decision. However, if they do, Colorado is ready to jump in. It’s not the most likely outcome, but it remains a possibility, and an intriguing one, as draft day approaches. The NHL playoffs had quite the night on Thursday evening, with illegal checks being thrown in nearly every game. Tom Wilson and Josh Anderson have already gotten through unscathed, and Ryan Johansen will join them as players that didn’t receive disciplinary hearings. Johansen collided with Tyson Barrie, but will not receive any supplementary discipline as the league ruled it a “full body hit” according to Greg Wyshynski of ESPN. Barrie and Colorado GM Joe Sakic are both upset about the decision, with Barrie going so far as to suggest to Adrian Dater of BSN Denver more players will take “runs” at opponents knowing they can get away with it. While it looks like Nazem Kadri will be given the second suspension of the postseason (the first being Drew Doughty for his hit on Vegas forward William Carrier), things threaten to get even more out of control in the coming games. Phil Varone has been named AHL MVP for the 2017-18 season, after scoring 70 points in 73 games for the Lehigh Valley Phantoms (with a few games remaining). Varone, a seven year professional, has always been an excellent offensive player in the minor leagues, but has just 50 NHL games under his belt. Drafted in the fifth round by the San Jose Sharks, his longest big league stint came with the Buffalo Sabres in 2014-15, when he recorded five points in 28 games. Though it never did seem like a great fit, rumors persisted about the New York Rangers and Ilya Kovalchuk, with some even going so far to say a deal had already been agreed to. Kovalchuk himself denied that today when speaking to Russian media, saying he hasn’t had any connection with NHL teams so far. That would make sense, as he isn’t supposed to be talking to anyone until he becomes an unrestricted free agent on Sunday. Kovalchuk can’t sign with anyone until June 1st, and still lists team success as one of the driving forces. The Rangers, entering a period of rebuild and dedication to their young players, don’t seem like the perfect landing spot for a veteran looking to compete for the Stanley Cup in short order. Yesterday, Pierre LeBrun of The Athletic (subscription required) wrote about the Central Division and how each team is handling the pre-trade deadline stretch. First, he spoke with David Poile who admitted that he’d be most interested in adding up front. The Predators have long been known for their strength on defense, and with Alexei Emelin now added to a group that still includes P.K. Subban, Ryan Ellis, Roman Josi and Mattias Ekholm, their blue line is stronger than ever. It’s not like Poile isn’t used to adding up front. Earlier this season he landed Kyle Turris in a three-way deal, and last season the Predators added Cody McLeod, Vernon Fiddler and P.A. Parenteau as depth options as they headed towards a postseason run. While none of those players are game-changing entities, they could be similar to any move the team makes this year, avoiding the big splash and hoping their core group can take them all the way. In Colorado, things are much different than a year ago. After dealing away Matt Duchene earlier this season, suddenly the Avalanche find themselves in a competitive position in the Central Division, just six points out of third place. LeBrun has been told by a source that if they’re in a playoff spot come the deadline, Colorado might just go out and acquire a top-nine forward to help this young group reach its potential. That’s a far cry from being a historically-bad team in 2016-17 and trying to sell just about any piece that wasn’t bolted down. Winnipeg may be the most interesting team to watch, now that they’ve lost Jacob Trouba for six to eight weeks and are still without Mark Scheifele. The Jets are a legitimate contender this season, and LeBrun reports that there is “no question [GM Kevin Cheveldayoff] is ready to deal some futures in the right deal.” That could be a whopping deal, seeing as the Jets are still loaded with prospects and picks ready to be flipped for impact talent. Sitting in first place is a new feeling for head coach Paul Maurice and his team, and it’s surely not one they’re going to want to give up anytime soon. Poll: Who Won The Matt Duchene-Kyle Turris Trade? Yesterday brought the culmination of several weeks of work for the front offices of three separate franchises. Ottawa, Colorado and Nashville consummated the biggest trade of the season, and the first three-team trade in several years. Kyle Turris ended up on the Predators and Matt Duchene on the Senators while Colorado finally got their haul of prospects and draft picks. Nashville only made the deal contingent on a Turris contract extension, which came in the form of six years at $6MM per season. That deal will keep the 28-year old center in Nashville until 2024, and immediately improves their depth down the middle. Colorado GM Joe Sakic has been criticized for months as the Duchene saga lingered on and on, as he seemed to be over-valuing him in trade. Duchene clearly wanted out of Denver, and it was frustrating for many to watch him struggle in front of the media for so long. 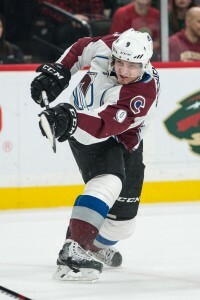 Still, Duchene went about his work and showed early this season he was still an elite player. That allowed Sakic to stick to his price tag, which eventually resulted in quite the haul. Ottawa on the other hand had been pursuing Duchene for quite some time, with GM Pierre Dorion saying he first approached Sakic about him at the 2016 GM meetings. The Ontario-born center has just one year on his contract after this one, but has elite upside and could help the Senators take the next step in the playoffs. Already they found themselves in the Eastern Conference finals last season, and if Duchene can get back to the nearly point-per-game player he has been at times throughout his career they could go even further. So who really won this trade? All three could claim victory, but there are risks on each side. Cast your vote and explain in the comments why. With the NHL season just underway, we continue our look at what each team has done this summer and what to watch for in the year to come. Today, we focus on the Colorado Avalanche. Players To Watch: F Mikko Rantanen & F Tyson Jost – Though everything that could have gone wrong, did go wrong in Colorado last year, there is still reason for optimism in the mountains. That optimism starts with the intriguing young core the team will ice at forward this year, including Rantanen and Jost. Both 10th-overall picks, Rantanen established himself as a full-time NHL player last year, recording 20 goals and 38 points in 75 games. While that seems underwhelming for a player many expect to be a top-line winger for years to come, it’s important to note that it ranked third on the team only behind established stars Nathan MacKinnon and Matt Duchene. Solidly built and armed with an incredibly accurate snapshot, Rantanen will score plenty of goals in this league. His ability to drift away from traffic and find a spot to unleash on net is uncanny, and will only develop with time and more successful linemates. At just 20, he’s only starting to fill out a 6’4″ frame that could carry around 220-lbs when it’s all said and done. That size, when added to his smooth skating and solid edgework shows a player who can contribute in several different elements of the game. While he struggled at times last year with consistency like many of the other Colorado Avalanche, a new season should bring better results. Jost on the other hand jumped right from the NCAA tournament to the NHL last season, suiting up for just six games at the end of the year. Though he register his first NHL goal, it was the only point he put up through his short tenure. Still, Jost profiles as a prototypical two-way center that can score in bunches. He dominated his final season in the BCHL before heading to North Dakota where he continued to show why the Avalanche valued him so highly in the 2016 draft. Not as big as some of the other number-1 centers in the league, Jost will likely settle into a second-line role with the Avalanche in the coming years. For now he’s been practicing with the fourth line, but there is clearly talent beyond that spot in the lineup. His development will be key to the success of the franchise, especially if they end up trading away some of their depth down the middle. Key Storyline: That brings us to Duchene, who has been one of the biggest stories in the league for months now. While it now looks like he’ll begin the season with Colorado, there remains much speculation that a trade will eventually happen. Teams like Columbus, Carolina, Ottawa, Pittsburgh, Nashville and New York have all been linked to Duchene at one point or another, though it’s unclear who would be willing to step up and pay the steep price GM Joe Sakic is still after. The Avalanche are probably doing the right thing by waiting for their price to be met, but it must feel like torture to Duchene and agent JP Barry. The latter has been clear about his client’s desire for a fresh start, and Duchene has been hounded by questions and speculation since well before last year’s trade deadline. Perhaps showing that he can bounce back from last year’s disappointing 41-point season will catch the eye of a new team. Unfortunately, Duchene will have a lot of responsibility heaped onto him to start the year. He’s been practicing between Nail Yakupov and Alex Kerfoot, who don’t inspire much confidence as they look to respectively rebuild and start their NHL careers. While both have high-end skill, Duchene will be required to drive play for the most part and play responsibly in his own end. While the speedster can do both of these things reasonably well, it’s not exactly his prime skill set. The Avalanche are rebuilding, that much is clear. But this season is about more than just collecting assets and stockpiling draft picks. The team, coach and GM all need to prove that last year is behind them and that they’re no longer the laughing stock of the league. They’re just four years removed from an 112 point season with many of the same faces driving the team—that year Duchene had 70 points, while captain Gabriel Landeskog had 65. The playoffs are a long shot, but improvement is necessary. The Chicago Sun-Times’ Mark Lazerus updates Blackhawks fans on prospect Alex DeBrincat in the midst of a changing Blackhawks roster. Gone is Artemi Panarin, but waiting in the wings is DeBrincat, who scorched the OHL last season as a member of the Erie Otters. Though Lazerus points out his 5’7 stature as possibly hindering his abilities in the NHL, Lazerus is just as quick to write that DeBrincat has been working with Blackhawks strength coach Paul Goodman to bulk up for the bruising NHL. The 19-year-old has the attention of fans, which Lazarus writes puts “outsized expectations” onto his shoulders. Such expectations don’t seem to faze DeBrincat, whose goal is to “make the team” and work at “his own pace” to to match his own expectations for making the Hawks’ roster. One thing is for certain: all eyes will be on him once the exhibition season begins, to see if his torrid goal scoring find its way to the Hawks. Just because a move still hasn’t made doesn’t mean Matt Duchene is staying in Colorado. CBS Sports’ Cody Benjamin reports that though the market is slow, the talks to acquire the forward are hardly cooling off. Benjamin cites Elliotte Friedman’s report, saying that Nashville and Pittsburgh are teams poking around to find the right deal. Duchene has been in trade purgatory, and though general manager Joe Sakic is seemingly asking for the moon in trade talks, it behooves the Avs to acquire something that will bolster their fortunes after a disastrous 2016-17 season. Patience for the right deal is certainly important, but it deserves stating that should Sakic wait too long, he may end up missing an opportunity to significantly improve the team. Fresh off its first Stanley Cup Final appearance, the Nashville Predators unveiled another change for next season. In commemoration of its 20th season, Nashville will use a special logo for the 2017-2018 season writes the Tennessean’s Adam Vingan. Little else accompanied the news, however, as Vingan reports that more information will be available as the season draws closer. With the loss of Nick Bonino to Nashville via free agency, the reigning champion Pittsburgh Penguins have a gaping hole down the middle. For the first time in over a decade, the center position is now one of relative weakness. It’s always a possibility that Matt Cullen decides to re-sign for one more year, but he will not be able to carry the load of a typical 3rd-line center. Cullen showed signs of slowing down toward the tail-end of the team’s playoff run, and he was only averaging 13:55 a game through the regular season. At 41 years old, he simply won’t be a viable long-term option. The Penguins likely have high hopes for Zach Aston-Reese to make a push in training camp, but he is an unknown quantity at the NHL level. GM Jim Rutherford had 5 potential trade options in the works prior to July 1st, according to the very reliable Josh Yohe of DKPittsburghSports. Talks either fizzled or were put on the back-burner, but one might imagine the number of available targets is far fewer now. With Dallas’ three-year signing of Radek Faksa, there is one fewer name left for consideration. Vegas seems to be content with merely flipping defensemen from here on in, although names such as Cody Eakin and William Karlsson shouldn’t be thrown out entirely. Erik Haula is likely a pipe-dream, but he’s another possible target. Matt Duchene was linked for a time, but between the high cost and the stubbornness of Colorado GM Joe Sakic to make a move, he seems incredibly unlikely. Who are the safest bets for an off-season move? Or will Pittsburgh enter the season with someone unproven slotting behind Sidney Crosby and Evgeni Malkin? Bozak has made tons of sense since his name was first mentioned. A lot has been made of his relationship with Phil Kessel. When they played on a line together in Toronto, Kessel saw some of his best career production. More than that however – the Leafs are in a bit of cap pinch as they will look to free up dollars for Auston Matthews, Mitch Marner, and William Nylander in the next two seasons. They certainly aren’t in any hurry to drop underneath the ceiling due to LTIR intricacies, but moving out Bozak’s $4.2 MM for this next season would be a forward looking move. If he’s due a raise, it’s likely they’ll lose him for far less, as his contract expires at the end of 2017-18. The move makes sense for Pittsburgh because of the Kessel relationship, but also because he fits the mold of the Pittsburgh squad. He’s a solid skater, sees the ice well, and hustles back into his own zone. His playmaking abilities would be a wonderful fit on the cheap to aid the high-powered offense, and the player would be a positive possession asset to remove the stress from the bigger guns. Bozak does have a modified no-trade clause, but it’s hard to see Pittsburgh being included on his list of non-tradeable teams. Staal saw a lot of success in Pittsburgh before he was traded away to Carolina at the 2012 draft. Jordan was traded to that team in particular due to his desire to player with his older brother Eric Staal. Seeing as Eric is no longer in the picture, it would make sense that Staal might be open to a Pittsburgh reunion. Staal is one of the better defensive centers in the league, and has been forced to take a more uncomfortably offensive role in Carolina. Staal’s biggest downside is that he isn’t the most agile skater, but he’s not any slower than Nick Bonino was. That said, he can play the shutdown role and be a total nuisance for top opponents. Rutherford loves the player, as he was the GM of Carolina when they initially acquired the player, for a hefty sum of Brandon Sutter, Brian Dumoulin, and a 1st-round pick (which became Derrick Pouilot). According to Yohe, Staal is apparently open to a return, and the nostalgic element of the team’s fanbase is clamoring for this to happen. Rutherford stated on a local radio segment with Ron Cook that “to his knowledge he (Staal) isn’t available”, but he’s played coy with the media in the past. Rutherford has been known to throw the hockey world for a loop with some of his trades. The James Neal–Patric Hornqvist trade shocked just about everyone, and the Phil Kessel trade is still being discussed to this day. If there’s one thing we should expect from him, it’s the unexpected. There are a few lesser options out there for Rutherford to explore, and management may want to have the Conor Sheary and Brian Dumoulin contracts put to paper before making any sort of transaction. It seems unlikely that anything will happen until those deals get done. Rutherford told Jason Mackey of the Post-Gazette that there are “hundreds of names on (his list)”, and that it’s “a patient process”. Could Detroit be willing to move Andreas Athanasiou? Could Bryan Little be pried from Winnipeg for a young defenseman? It’s hard to speculate as to where exactly management have set their sights, but Rutherford is generally willing to overpay to “get his man”. There is the slight likelihood that they enter the season with that hole left unfilled, but it’s hard to imagine. Until more dominoes fall, Rutherford is likely to bide his team and search for the correct deal. Colorado needs to determine the road ahead for its franchise. The unexpected plummet to the 4th overall pick in the draft lottery did not help matters, to be sure, but the Avalanche need more than a Nolan Patrick to catapult them back into contention. The team has lacked identity for years and a team philosophy is hard to isolate. The team finished a league worst 22 wins, good for an embarrassingly bad 48 points. They were not expected to be serious cup contenders coming into the year, but this is a team that had veteran scorers and a decent goaltending duo to back up their young forward core. Yet they finished in dead last in both offensive and defensive categories – 1.74 goals for per 60, and 2.93 goals against. With such an incredible disparity it’s actually impressive they won as many contests as they did. GM Joe Sakic needs to determine which pieces of his core (if any) are worth keeping. It seems probable that the team could consider trading away its captain in Gabriel Landeskog, and the case for doing so is strong. He potted only 18 goals and 15 assists this season, his 5th full campaign – at the exorbitant price of $5.5 MM (which will become $6 MM next season). The center has never developed into the offensive threat the franchise had hoped when he was selected 2nd overall in 2011. His point totals have dropped for the second season in a row. However, his Corsi For % was actually his career best at 52.8, and on a team that bled goals and chances, he performed admirably in his own end. Whether he is worth his deal is certainly a less pressing issue than stopping the bleeding. Unless an over-payment comes along the Avalanche would be wise to stick out at least another season with the still-promising left wing. Speedy forward Matt Duchene is two years older, and fared only marginally better, with 18 goals and 23 assists. Duchene is not physically imposing a 5’11”, and he is more effective on the rush. His speed and versatility are his greatest assets. Duchene’s skating can burn defenders and his skating is among the tops in the league. When considering that the quick and fleet-footed Nathan MacKinnon is also on the team, it seems that Colorado might want to double down on the speed aspect of their negligible identity. Duchene would almost certainly draw more interest than Landeskog, as the forward did pot 30 goals just the previous season. Although the talk seems distant now, there was considerable conversation following the 2009 draft that the Islanders would have done better to draft Duchene than John Tavares. This is a player who can make a meaningful difference on the playmaking side of things, but saw a drastic drop off in play. Trading Duchene seems the most logical option, but his departure will only leave the center ice position more lackluster. 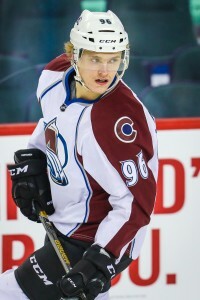 The Avalanche could toy with moving RFA center Mikhail Grigorenko, or RFA defenseman Patrick Wiercioch, but the returns after last season would be marginal at best. One can only assume that Sakicc attempted to unload forwards like Blake Comeau ($2.5 MM), and now UFA defenseman Fedor Tyutin to no avail. Thankfully the well-worn Jarome Iginla was shipped off to Los Angeles and there are indeed older players coming off the books. The 35 year-old Rene Bourque and 32 year-old John Mitchell will both be UFAs and will have difficulty finding work next season in the league. Ultimately, the problem for the Avalanche wasn’t that their stars didn’t produce, although that certainly didn’t help their goal totals. Their team was filled with washed-up veterans and outside of the big 3 on offense there was really no threat to score. On the backend, once Erik Johnson went down, the rest of the defense was not nearly good enough to keep up. Tyson Barrie is the only player who should feel remotely safe, and the young RFA Nikita Zadorov is likely to hang around. Francois Beauchemin is not the defender he was even two seasons ago, and if he could somehow be traded it would help performance substantially. Trading away the #4 selection is usually an unthinkable notion with a team at this stage of a rebuild, but if they can move it for substantial help on defense or on the wing, it should be considered. Especially considering how mediocre this draft class is, it might turn out to be a prudent maneuver. One of Landeskog or Duchene seems likely to depart, but without a king’s ransom coming back, it’s not likely to alter long-term prospects for the franchise. Colorado simply needs to draft better, develop better, and find a coach with the structure that a young, struggling squad will need. If they could make a serious pitch to Karl Alzner this off-season, or perhaps even Thomas Vanek on the wing, they would be in a better position to compete on a nightly basis. Their offensive stars are unlikely to be quite as dreadful in points production yet again. Perhaps the most positive aspect of the upcoming season will be the infusion of youth from the minor leagues, and the ditching of dead weight up and down the lineup. Sakic will need to provide stability for the franchise and perhaps even display some patience rather than dumping a slumping offensive talent for a lackluster package. Although fans may wish for change at any cost, ditching their core players for scraps is not likely the best way forward. Whatever course Colorado decides to take, fans around the league will be watching with interest this summer. On the latest installment of Insider Trading on TSN, the panel—which includes Darren Dreger, Bob McKenzie and Pierre LeBrun—discussed several topics going into the last two weeks before the NHL Trade Deadline. While LeBrun relays that some front office members around the league believe that Colorado GM Joe Sakic will wait until the summer for any possible Matt Duchene move, Dreger reports that there are other names in play. Both Mikhail Grigorenko and Patrick Wiercioch are mentioned by name, the first we’ve heard one these two directly. The two weren’t listed in Sakic’s “untouchables” recently, and come as little surprise as the team looks to rebuild from the disaster that has been this season. Grigorenko especially will come with some interest, due to his young age—he turns 23 on May 16th—and former first-round pick status. Since going 12th overall in 2012 though, Grigorenko has failed to deliver on his promise of a big top-six center. Instead, he’s recorded just 18 goals and 59 points in 193 games. Wiercioch signed a one-year deal with the Avalanche after not receiving a qualifying offer from the Ottawa Senators last summer, and has put up numbers similar to those he did in Ottawa between 2012-15. While he only plays 17 minutes a night, he does have 11 points in 43 games (all at even strength) and has a bit of upside for a team needing a depth defenseman for a playoff run. Both players are restricted free agents at the end of the season and eligible for arbitration. McKenzie also mentioned that Duchene is seen as a winger by many teams around the league, who think he can perform better there than in the middle. It will be interesting to see if his market develops as a center or a winger as we get closer to the deadline, or if Sakic will have to wait until the summer to deal him to a team willing to slot him into the middle for 2017-18.